Founded in the 1940s as Houston Industrial Supply Company, Hisco changed ownership several times early on. In 1970, a man named Paul Merriman took a chance, spent a dollar on the failing company (He really did buy the company for $1! ), and moved his family to Houston, Texas, to have a go at putting it on the road to prosperity. 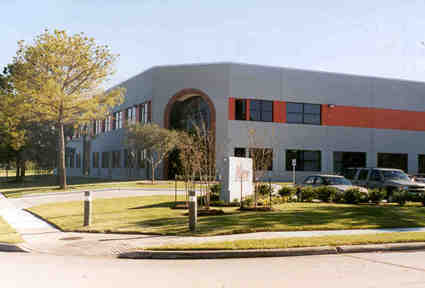 In 1971, Houston Industrial Supply Company was incorporated into the company we know today: Hisco. For over 40 years, Hisco has been a leader in supply chain solutions. From day one, Merriman operated his company on a “we,” not “me” mantra. He wanted each employee to feel important and to celebrate the company’s successes. With this in mind, Merriman did what few businesses owners before him had done: He gradually gave 100% of the company to his employees, and Hisco became one of the original Employee Stock Ownership Plan (ESOP) companies, where employees are the owners of the company. Today, Hisco is a specialty distribution company serving the electronic assembly, aerospace and defense, medical, electronics, and other industrial markets. We’re marching onward to deliver documented value to customers through quality products, process solutions, and documented cost savings. 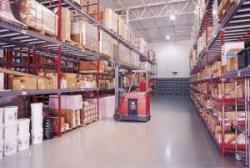 In addition, we offer specialized warehousing for cold storage and vendor managed inventory services. Our international Hisco branch network includes over 30 stocking locations— 23 in the United States (including Puerto Rico and the Dominican Republic, and recent acquisitions All-Spec and HMC Electronics) and 10 operated by our subsidiaries HiscoMex in Mexico and HiscoCan in Canada— plus Precision Converting and Adhesives Materials Group that provide value-added fabrication and custom repackaging, respectively. Backed by a strong corporate organization, our branches enjoy the flexibility of local decision-making, which enables them to respond quickly to your needs. Our Lean Solutions Team is constantly working to define and implement ways to help our customers improve processes, and because we are 100% employee-owned, everyone at Hisco has a vested interest in making sure our performance exceeds your expectations. Hisco’s number one goal is continual improvement in every part of our business. Whether it’s service, warehousing, automated inventory, packaging, or shipping solutions, we strive for customer satisfaction through continual improvement in delivering our signature fast, friendly service. Our supplier base has steadily grown to include such world-class organizations as 3M, Alpha, LORD, Henkel Loctite, and Brady. The strong partner commitments we have established with our suppliers have allowed us to provide innovative solutions to our customers through best-in-class products that deliver optimum value. Like to save money and time? With over 30 stocking warehouses across North America, Hisco has the capability to quickly and efficiently transport standard, JIT, and emergency shipments. We can also service national accounts locally and customize your inventory management, saving you even more time and money. Our core philosophy is simple: "Fast, friendly service." When you order from Hisco, you know your package will arrive safely and on time. Whether across town or across the globe, Hisco ships to every customer with the same care and attention to detail. In a hurry? No problem! Each Hisco representative is authorized to get your products to you as fast as possible. More than a motto, “Fast, friendly service” is ingrained in everything we do. From top to bottom, our philosophy is built upon a foundation of trust, integrity, and courtesy. We believe in building relationships, not customer lists. We want to partner with your business in the way that best suits your needs, whether it’s through e-commerce, phone calls, sales visits, or Hisco people located right in your building. Each Hisco representative is thoroughly trained to be knowledgeable about our products and how to best serve your needs. Fast, friendly service is the Hisco difference! Founder Paul Merriman was a pioneer of Employee Stock Ownership Plans, and Hisco became one of the first ESOP companies in the country. Merriman’s philosophy of hiring good people and giving them “a piece of the action” continues to define our culture. At Hisco, our employees are the bosses. From the warehouse to the corner office, each employee has a stake in the success of the company— and each employee reaps the rewards of that success. We believe that employees with a vested interest in the company’s success strive to exceed company and customer expectations. And since we are 100% employee owned, each employee-owner is focused on providing greater value for each customer through quality service before, during, and after a sale. We invite you to join our growing list of satisfied customers who have discovered there really is a difference in suppliers! For more information on ESOP, visit www.esopassociation.org.